The ideal guitar to learn on, the Discovery Nylon has a comfortable 1 7/8th inch radiused neck. With its cutaway design you have access to all 20 frets. The Fishman electronics let you easily fits in with other players. The built-in tuner make staying in tune a breeze. 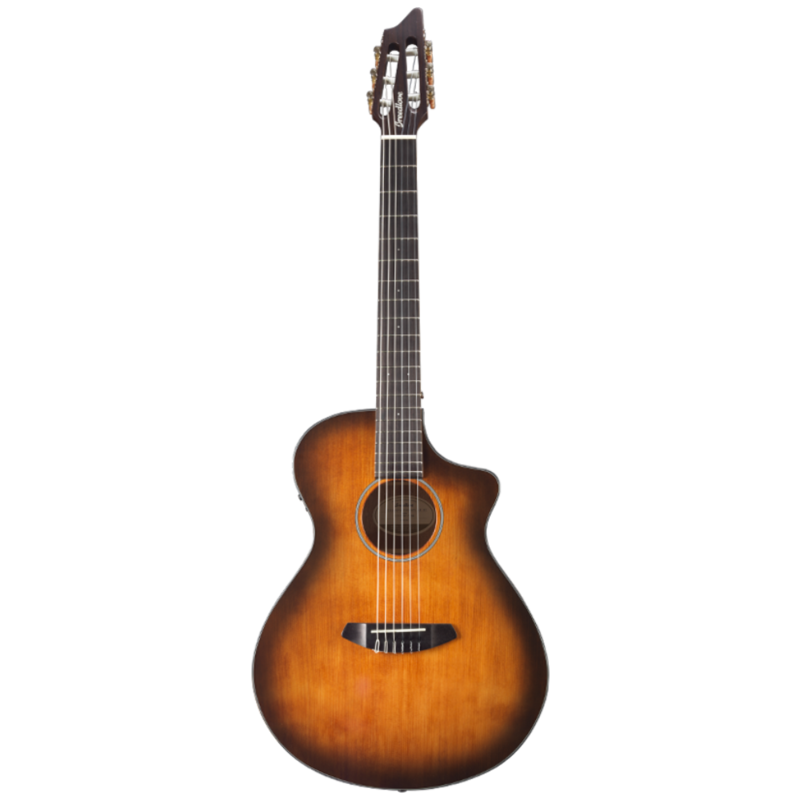 We designed this guitar with a solid Engelmann spruce top. Engelmann is less dense than Sitka and will be more responsive on a nylon stringed guitar. The satin Bourbon burst finish is beautiful.